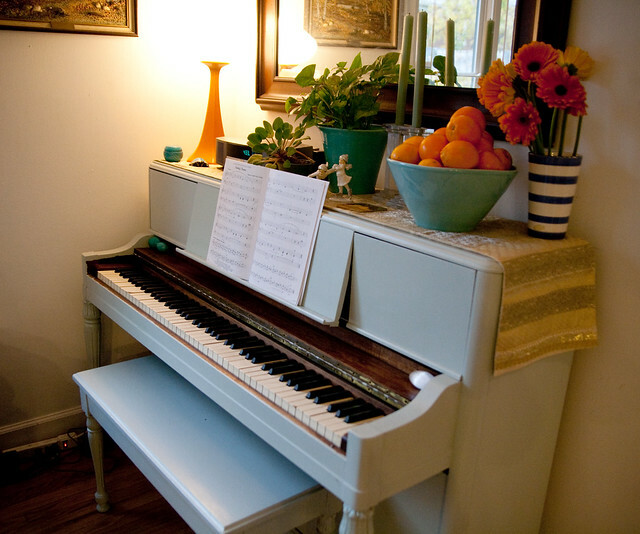 Would you have the nerve to paint your piano? Heidi did and to wonderful results. She didn’t like the dark, brown wood though and thought she might like to paint it. 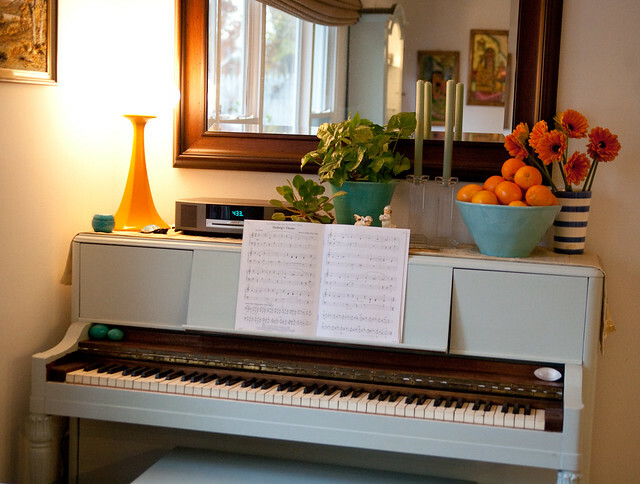 After searching online and finding so many beautifully painted pianos — red, yellow, green, blue, and purple — there was no turning back. “They all looked so much better in color,” she recalls. 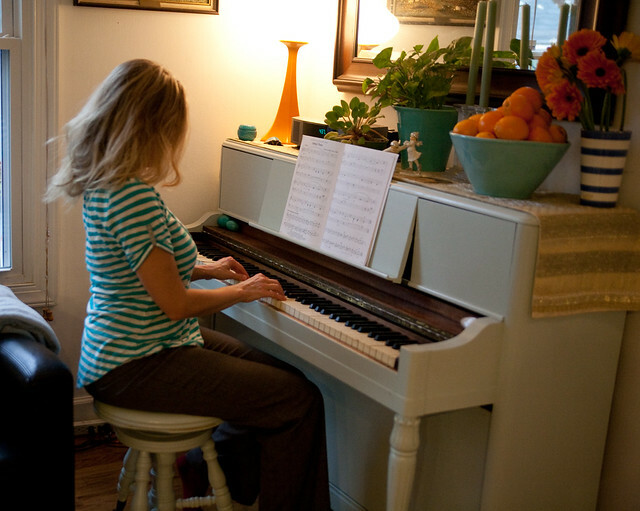 For her piano, Heidi decided to use the same grey-glue shade of Benjamin Moore semi-gloss paint as she used on a secretary in the same room. The project took about three hours. She first sanded the wood and primed it before painting it with one coat of the paint. She left some of the dark wood close to the keys, deciding that she liked the contrast between the pale paint and the dark wood. She later painted a stool she found in a yard sale to replace the bigger bench. 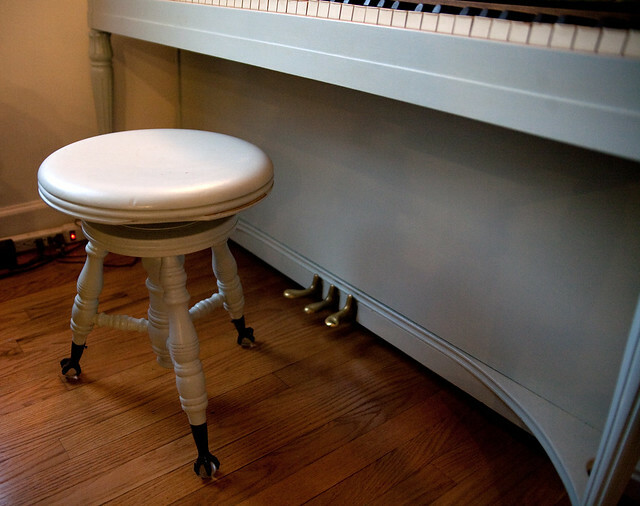 Heidi admits that she may not have painted a more costly piano, but she only paid $100 for her St. Elmo’s find. 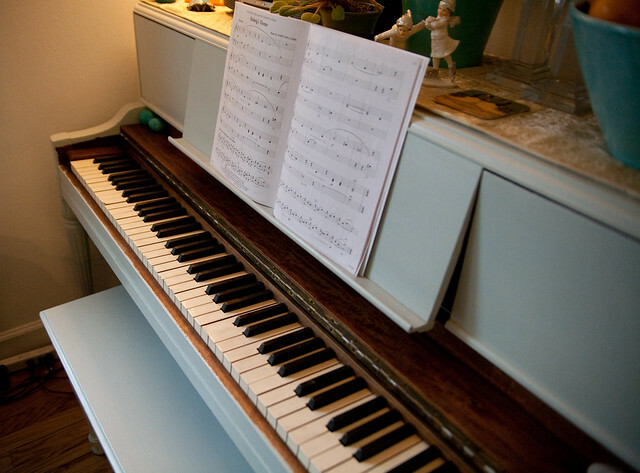 In fact, she says she’d rather have a cheap piano she can paint instead of a more expensive model. The piano she bought was actually in fairly good shape, with some minor wear, and in need of tuning. But it was fine for her and her two children to practice on. Heidi has been taking lessons for two years now and still loves it. 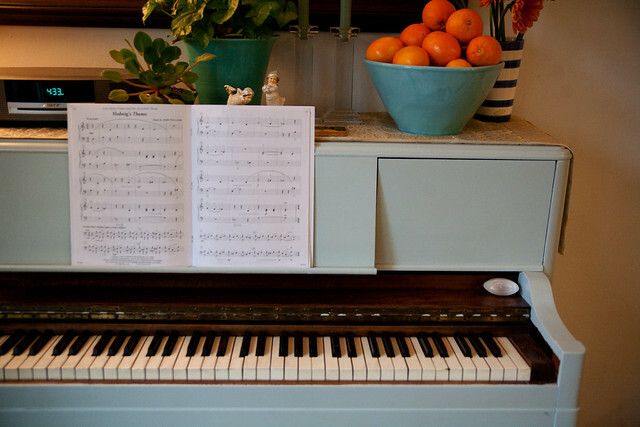 Have you ever painted a piano?